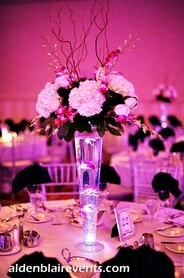 Mercury Glass Candle Holders, Bulk 12 pcs, "Analisa" Fuchsia - We love Mercury Glass on the tables to really set a romantic mood. It's always nice to have candlelight going at home. How about making your loved ones feel special by setting up a "Just Because" table? You really don't have to be celebrating anything in particular, just another day with those you love. When you add a couple of inexpensive candles to the table, you're showing that you want to create a special environment. 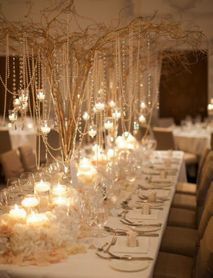 Of course, if you are decorating tables for a wedding or other special party, candles are an absolute must. Real candle are always lovely, but we also offer some flameless candle alternatives. These make it safe and they won't burn out before the end of the night. 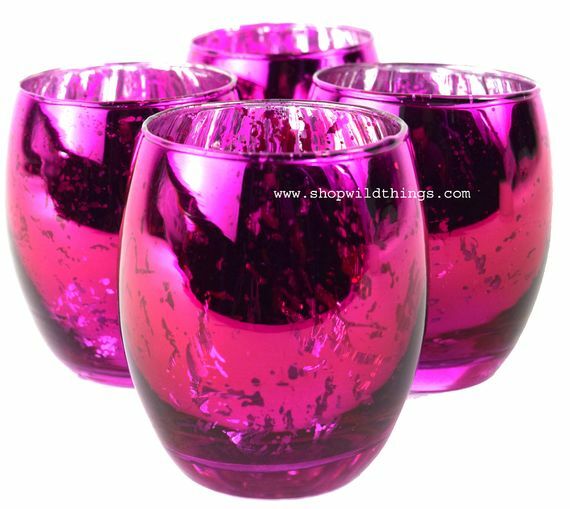 Our "Analisa" round votive holders come in dynamic fuchsia and you'll get a set of 12! Mercury glass has a random pattern of silver overlay inside the cup, giving the glass a metallic yet see through look. The colors on this votive holder really pop, even without a candle so just imagine what a little light will do! Analisa is 3 1/4" tall with a 2 1/4" opening and the body curves out in the middle to 2 3/4" wide. The glass is 1/16" thick. 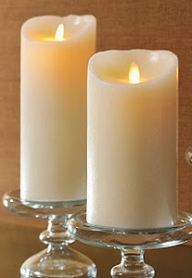 Light up all 12 with flameless LED votive candles up to 1 1/2" in diameter and enjoy the magnetic draw of candlelight! Check out all the shapes, sizes and colors of Mercury Glass Candle Holders we have to offer and jazz up your display by mixing it up!